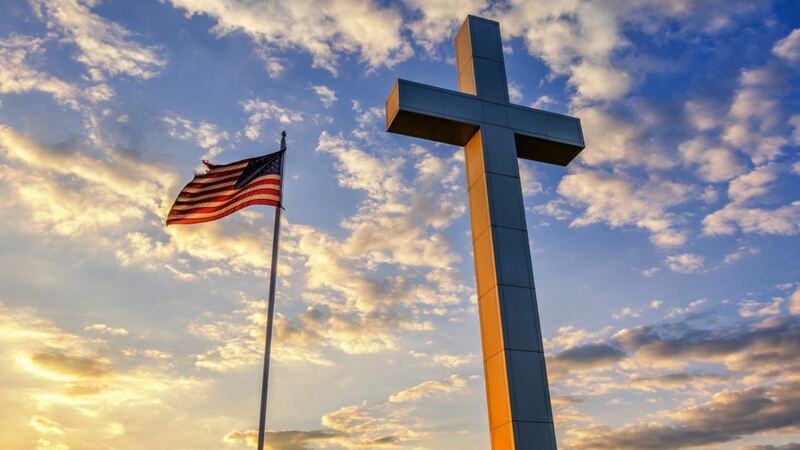 HADDON HEIGHTS, New Jersey -- A civil rights organization has called on a New Jersey elementary school to end the practice of students saying "God bless America" after reciting the Pledge of Allegiance. The American Civil Liberties Union's New Jersey chapter sent a letter to a school in the Haddon Heights school district saying that invoking God's blessing as a daily ritual is unconstitutional. Glenview Elementary School Principal Sam Sassano says that the tradition started after the Sept. 11 attacks and has become part of the school's culture. He says in a letter to parents that the practice is patriotic and does not advance any religious message. He says the school will discontinue the practice, but won't prevent its 265 students from saying the phrase.